Michael Hanson grew up in eastern South Dakota, on a ranch in Gann Valley...where his love for animals began. After graduating from Wessington Springs High School, Michael headed to Sioux Falls, SD and began his career in the emergency services field. Michael's passion for helping folks in need during times of crisis lead him to working 10 years as a 911 dispatcher and an EMT in the Sioux Falls area. In 2010 Michael relocated to the Black Hills area and settled in Rapid City to begin a new career in property management. Michael currently oversees several large apartment complexes throughout the Midwest. 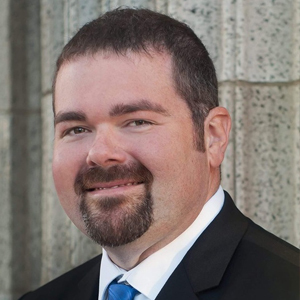 With his gained experience and expertise in this field, Michael moved easily into the real estate industry and acquired his SD Broker Associate license in 2015. Michael joined us here at Gold Key Realty & Auctions immediately upon receiving his license and we were thrilled! Making the decision to transition from renting to home ownership, is a big step and Michael thoroughly enjoys assisting his clients in making it a smooth move! From his rentals or any other! Michael is a huge part of community involvement in Box Elder, SD. Presently on the Box Elder City Council and giving to his local community as a volunteer firefighter for the Box Elder Volunteer Fire Department, Michael continues with his passion of helping his community and folks in time of need. When free time allows Michael says being around animals and traveling is what he enjoy but the best place to be is with family and helping them build fence and feed their exotic cattle on the "ranch"! When looking at Rapid City property for sale, place your trust and confidence in Michael Hanson to get the job done!